A report from the Australian National University (ANU) shows Australia is installing renewables faster per person, per year than any other country. Australia is therefore likely to meet its 2030 Paris Agreement emission reduction targets five years earlier, the ANU report states. Australia could then potentially reach 50 per cent renewable electricity by 2024 and 100 per cent by 2032. The ANU report shows Australia installing renewables per capita several times faster than the EU, Japan, China and the US. Australia is setting the pace for global renewables, say ANU researchers Dr Matthew Stocks, Professor Andrew Blakers and PhD candidate Bin Lu. Australia can meet its 2030 Paris Agreement targets at zero cost because expensive fossil fuels like coal are being replaced by cheaper renewables like solar power. In June 2018, ARENA CFO Ian Kay cited industry reports that said electricity from large-scale solar and wind farms was around $50 per MWh. This is cheaper than electricity from a newly-built coal-fired electricity station still paying off the cost of its construction. It’s also cheaper than existing gas-fired power stations. Nearly all of Australia’s new power stations are solar or wind, according to lead ANU researcher Professor Andrew Blakers and co-researcher Dr Matthew Stocks. Australia’s ageing coal-fired power stations are becoming less reliable, researchers claim. The renewable transition will therefore improve grid stability. 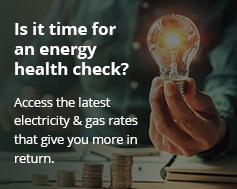 In January up to 200,000 Victorian households lost power when two coal-fired plants in the Latrobe Valley failed during extreme heat. 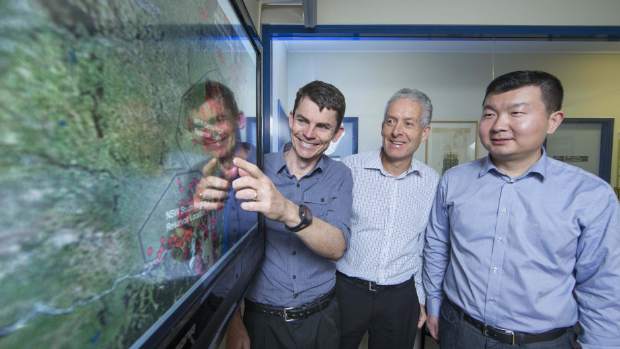 The ANU team is also upbeat about a stable renewable power grid. Researchers say renewables can be smoothly integrated with commercial energy storage, demand management and strong interstate connections. Leading storage technologies like pumped hydro and batteries will then gradually take over from fossil fuels, the report predicts. Meanwhile at the household level, the price of home batteries like Tesla Powerwall 2 continues to fall. Prime Minister Scott Morrison claimed last year that Australia could meet its Paris Agreement targets “at a canter”. The new report from ANU appears to support this. However, not everyone is optimistic about Australia’s clean energy future. Australia has one of the highest rates of non-renewable energy use among the 36 OECD countries. The Organisation for Economic Co-operation and Development published its third Environmental Performance Report of Australia last month. Australia is among the top ten greenhouse gas emitters in the OECD due to its over-reliance on coal. Coal, oil and gas make up 93 per cent of Australia’s energy use. The average for other OECD countries is 80 per cent.